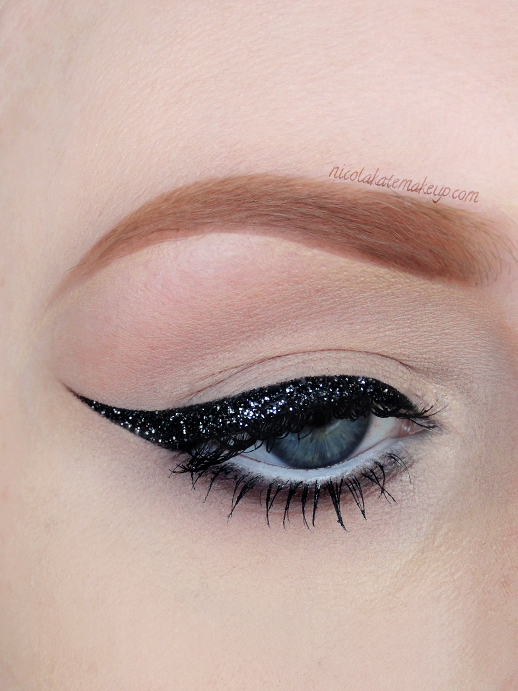 Nicola Kate Makeup: Black Glitter Liner Revisited! asdfghjkl; I LOVE this look and it's one of my favorites of yours as well. Collection 2000 isn't sold in the US and I spent foreeever a few nights ago trying to find a suitable dupe for that liner (or a glitter that would look similar paired over black) and had no luck. The search continues! Thanks so much, Shanna! That's such a shame that it isn't sold in the US as it's such a fantastic budget brand. I actually think the brand has been renamed to simply 'Collection' more recently. Thank you, Lucy - I love simple things that still have the ability to 'wow' people.